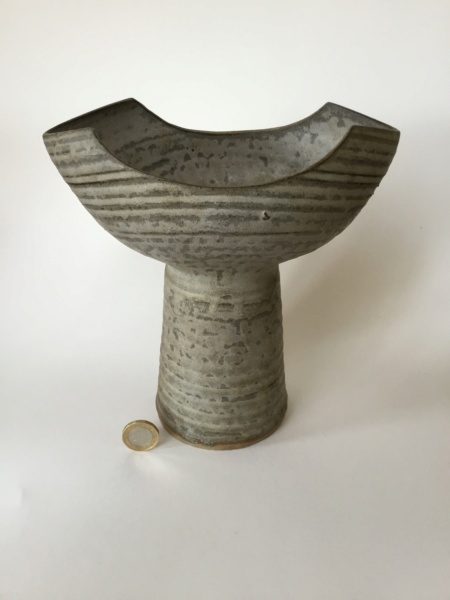 Interesting shape, stoneware, looks 1970s era. 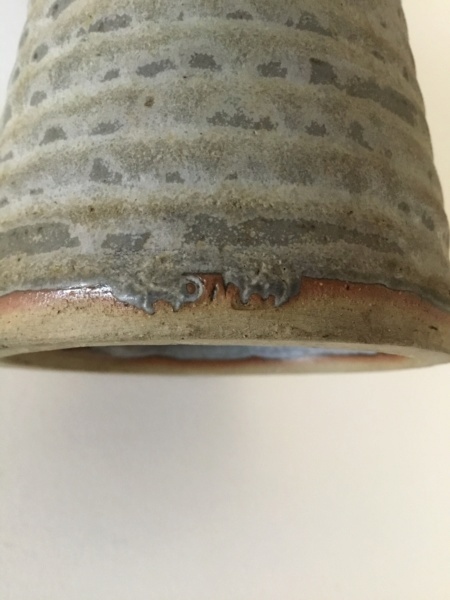 Grey glaze, throwing rings, looks to be twoimpressed marks, both obscured by glaze. Possibly P and on the second one an m. Or am I imagining it? Maybe it will ring bells with someone. Thanks I’ll check both of these. Would be nice if it was Maltby. 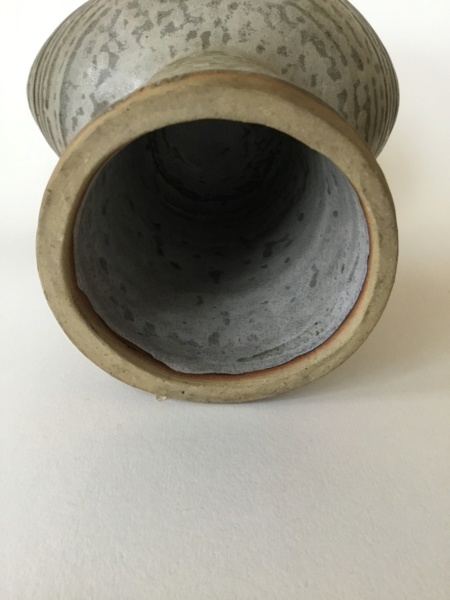 Looks in a similar vein - so annoying when marks are glaze filled. I need to get on Pinterest properly - I’ve never got the hang of it but I must persevere. Thanks, Naomi.